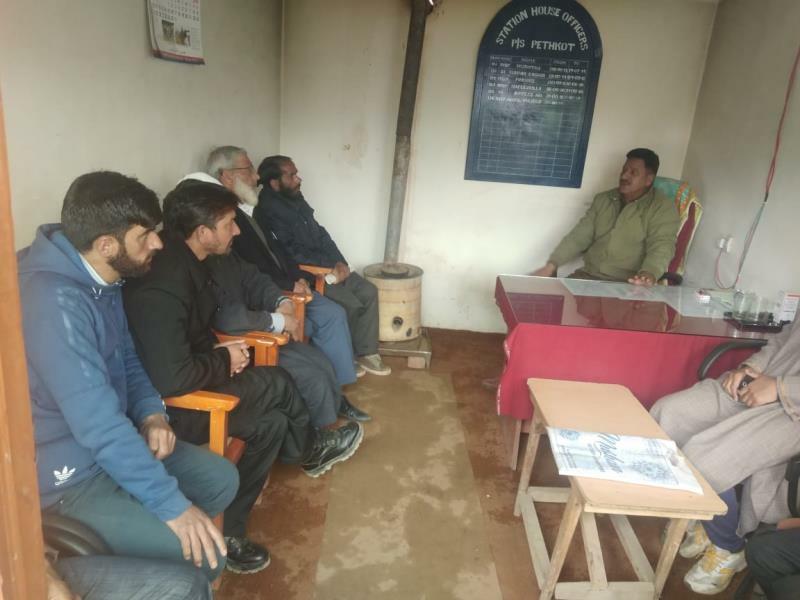 March 19: PCPG meetings were held at Police Station Pethkoot , Bandipora and Police Post Aloosa which were chaired by the respective heads. Number of citizens participated in the meetings. Various issues related to the over all well-being of society were highlighted by the people. Shortage of drinking water, erratic power supply, road connectivity and health facilities were the main grievances raised by the participants. Participants were assured by the concerned officers that their genuine demands would be given a humanitarian look and will be brought in the notice of higher- ups of both the civil administration as well as Police for their timely redressal. The meetings concluded on a positive note.